I've teamed up with the lovely team at Organix to give not one, not two but three lucky readers the chance to win an Organix weaning bundle! Just when you and your baby are in a confident routine with milk feeds, along comes weaning. 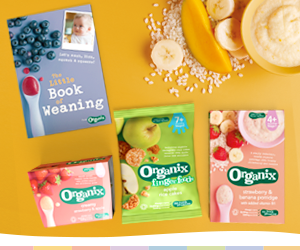 To help you we’ve got 3 amazing Organix weaning bundles up for grabs, a tasty selection of organic baby foods, plus a copy of the new Organix Little Book of Weaning. Weaning provides the perfect opportunity for developing a healthy and balanced diet for your baby, giving them a healthy start in life. It be might be messy and challenging, but weaning can also be exciting and full of fun. To help parents make sense of all the information Organix has launched its Little Book of Weaning. It aims to simplify things so parents and little ones can enjoy their weaning journey, and to encourage mums and dads to help their babies mash, lick, squash, squeeze and play with new foods. From advice on how to tell when your little one is ready to start weaning, to top tips on making every mealtime fun, The Organix Little Book of Weaning is designed to help at every stage of this exciting time. 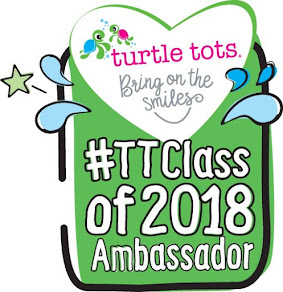 Your prize also includes weaning foods – Organix stage 1 cereals and fruit pots in simple tastes and smooth textures to help get you started, and stage 2 foods so you can add more tastes and textures at mealtimes as your baby’s confidence grows and you and your baby become more adventurous. Plus, finger foods in a great range of shapes, textures and tastes to help your little one learn the skills they need to feed themselves. Just enter the Rafflecopter for a chance of winning!